Manhattan’s Central Park is aptly named: the vast greenspace is a near-perfect rectangle in the center of the borough and a place for New Yorkers and visitors alike to spend time in nature. Here’s our guide to sights in and around the park that your clients won’t want to miss. Bethesda Fountain. Photo by Christopher Postlewaite. The design for the enchanting 843-acre (3,411,500-square-meter) park, which stretches from 59th to 110th Streets in Manhattan, was selected in 1858. Some of the park’s many landmarks include Belvedere Castle, Bethesda Fountain, Bow Bridge, Tavern on the Green restaurant and Strawberry Fields (a tribute to John Lennon). 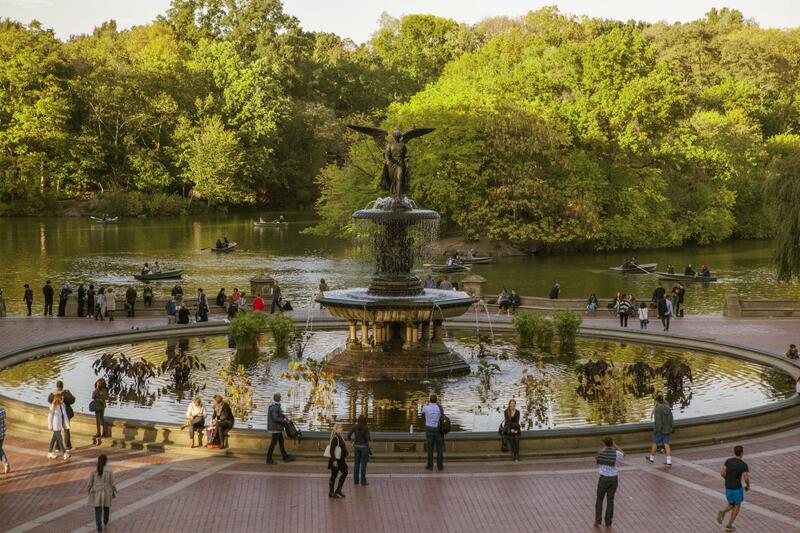 Your clients could easily spend the day exploring Central Park on foot or by bike. There are even rowboat rentals adjacent to the Loeb Boathouse restaurant and bar. The Central Park Zoo is a family favorite, home to hundreds of animals like monkeys, polar bears and sea lions. American Museum of Natural History. Photo by Marley White. 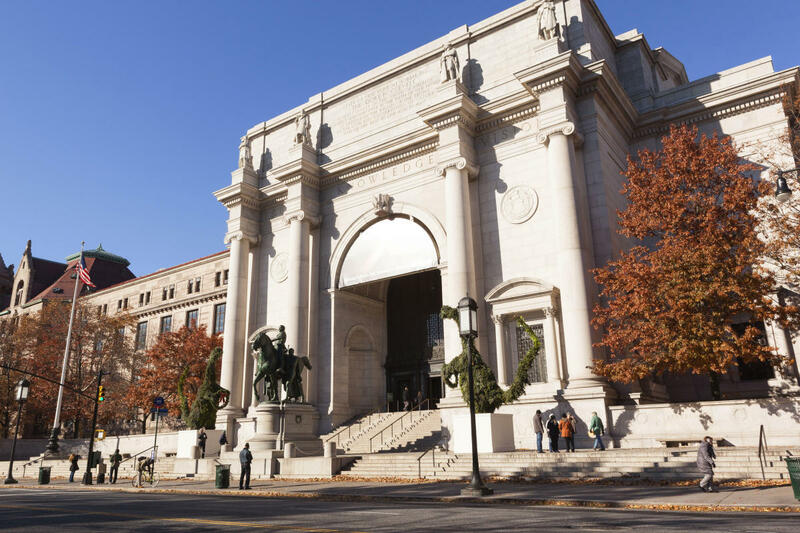 The iconic American Museum of Natural History sits along Central Park’s western edge. Its must-sees include a life-size replica of a blue whale, the dinosaur wing, a planetarium and an IMAX theater. At the neighboring New-York Historical Society, an Upper West Side mainstay dating back to 1804, visitors can see hundreds of artifacts and works of art that illustrate the history of all five NYC boroughs. Lincoln Center. Photo by Kate Glicksberg. Also nearby is Lincoln Center for the Performing Arts. The illustrious arts complex is comprised of fabled organizations for music, dance (new works and classics such as The Nutcracker), film series, award-winning theater and vibrant opera. 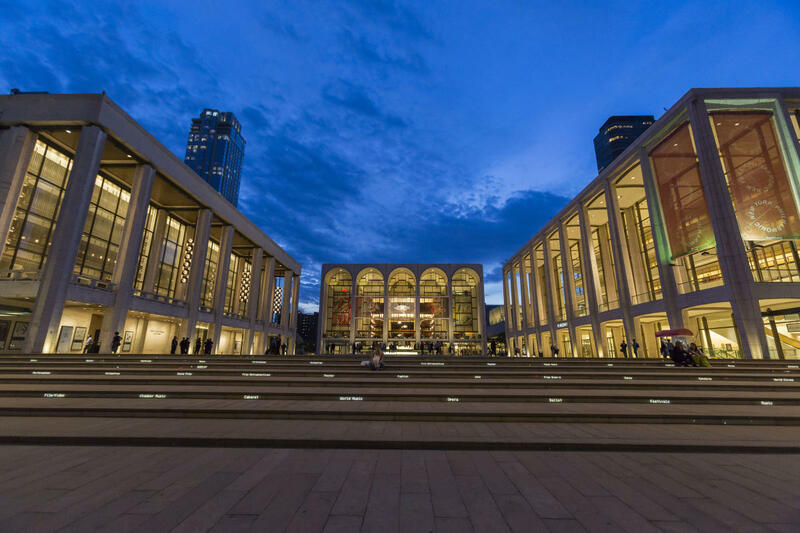 Find tickets for each organization at its own box office, or discount tickets to all Lincoln Center performances at the David Rubenstein Atrium. The Guggenheim. Photo by David Heald. 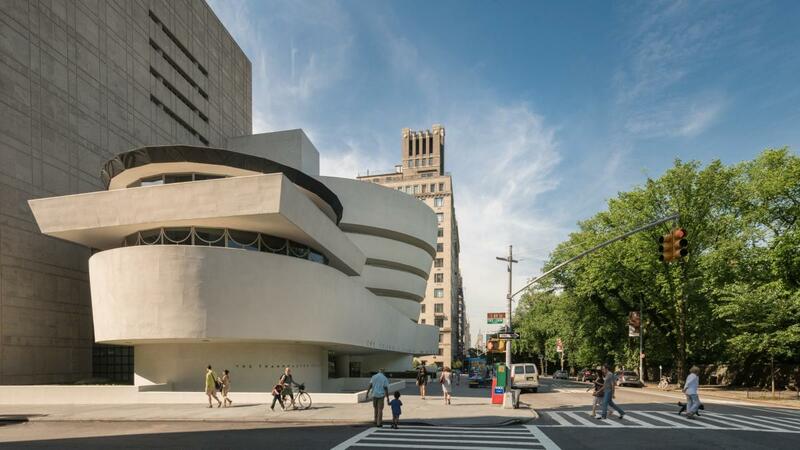 The City’s famed Museum Mile, which runs along Fifth Avenue on the east side of the park from 80th to 103rd Streets, is home to the Met Fifth Avenue, the Solomon R. Guggenheim Museum, the Cooper Hewitt Smithsonian Design Museum, the Jewish Museum and the Museum of the City of New York, among others. The Met Breuer, a contemporary art museum and sister to the Met Fifth Avenue, is located nearby amid the luxe boutiques of Madison Avenue, where your clients can shop for high-end clothing, jewelry, fragrances and more.